The people of South Kordofan have become caught up in the unresolved contradiction of the post-John Garang Sudan People’s Liberation Movement/Army (SPLM/A), which is now leading South Sudan into independence; what happens when a national federalist political movement becomes an ethnic separatist political movement? This is the problem in several areas of Sudan outside the new borders of South Sudan, areas in which the then federalist SPLM/A recruited fighters to combat the Khartoum regime in the interests of creating a federal “New Sudan.” With South Sudan declaring full independence on July 9, a force of roughly 40,000 Nuba SPLA fighters have been abandoned in their homeland, with the SPLA declaring they are no longer part of the Southern military and the Sudan Armed Forces (SAF) determined to clear their presence as soon as possible. South Kordofan is home to a number of armed groups at present, including the SPLA, the SAF, and various militias allied to both sides. 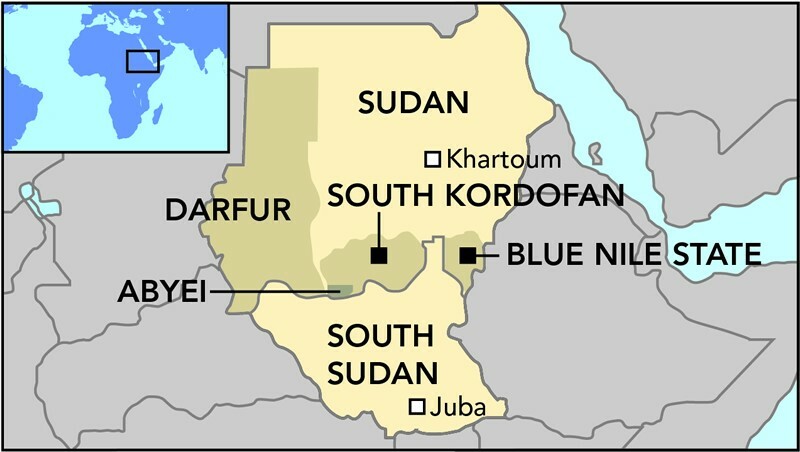 Khartoum’s position is that South Kordofan is “100% Northern,” and that only the SAF would be permitted to carry arms after Southern independence is declared on July 9 (Sudan Tribune, June 16). The 2005 Comprehensive Peace Agreement (CPA) that provided for an independence referendum in the Southern Sudan after a six-year period also called for “popular consultations” to determine the status and form of governance for South Kordofan and Blue Nile State, both of which hosted large numbers of local fighters affiliated to the SPLA during the 1983-2005 civil war. The CPA stated that the consultations could not be held until local elections were held. In Blue Nile State, the SPLM candidate, Malik Agar, won election as governor, but in South Kordofan, numerous delays held up elections until May, when the candidate of the NCP, Ahmad Haroun, was a surprise victor over the SPLM candidate. The NCP were also majority winners for the local state legislative assembly. As a result, the mostly Nuba SPLA fighters were given the choice of disarming or leaving for the South by June 1 (The CPA does not call for the complete removal of SPLA forces until July 9). Since nearly all the fighters are residents of South Kordofan, moving to South Sudan was rejected as an option. By June 5, SAF tanks, infantry and artillery began to roll into the regional capital of Kadugli in a show of force that quickly broke out into open conflict. Under the current regime, there have been extensive efforts to “Islamize” the Nuba, by force if necessary. Many Nuba are already Muslims, though there are also large communities of Christians and followers of traditional beliefs. This and growing pressure on their lands led to SPLA recruitment in the area in 1986. By 1989 local Nuba leader and SPLA Commander Yusuf Kawa led the newly formed “New Kush Division” into the hills to open a new front in the civil war. Divisions within the SPLM/A leadership left the Nuba largely on their own to combat government forces that extracted revenge on the local population through a series of offensives. The death of the charismatic Yusuf Kawa from cancer in 2001 took much of the steam out of the rebellion, and an internationally supervised ceasefire was in place by 2002. While the exact spark that began the fighting may be hard to identify, the stage for the conflict was set during the May elections for South Kordofan. SPLM candidate and veteran SPLA commander Abd al-Aziz al-Hilu lost the governor’s post to the NCP’s Ahmad Haroun, while the ruling NCP took a surprising 33 seats in the legislative assembly to the SPLM’s 21 (Sudan Tribune, May 18). Al-Hilu withdrew from the elections as the votes were counted, charging the NCP with vote-rigging. Soon after, he announced he was in high-level talks with the SPLM government of South Sudan and had received their support (Sudan Tribune, May 18). The new governor, Ahmad Haroun, is a veteran of the largely Arab Murahileen mounted militias formed to raid Southern Sudanese tribes in the border regions during the 1980s. In the 1990s Haroun was involved in the brutal campaign to punish the Nuba of South Kordofan for supporting the SPLA, a reprisal campaign that did not differentiate between Muslim and non-Muslim and left roughly 200,000 civilians dead. By 2003 Haroun was Minister of the State for the Interior and played a major part in organizing the Arab Janjaweed militia to attack non-Arab Muslim civilians suspected of supporting the Darfur insurgency. In respect to these activities, the ICC issued an arrest warrant for Haroun on multiple charges of crimes against humanity in April 2007. In response, Khartoum appointed Haroun to head an investigation into human rights abuses in Darfur. 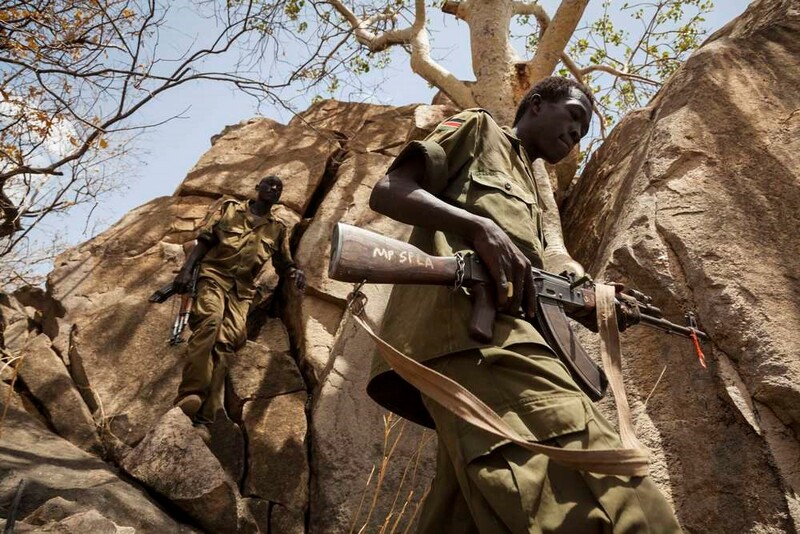 Clashes between the SAF and the SPLA are reported to have begun when government troops attempted to disarm SPLA fighters in Kadugli, the administrative center of South Kordofan. Attempts to do the same in the nearby town of Dilling appear to have led to SPLA troops opening up on the SAF, killing an SAF officer and eight soldiers (Sudan Tribune, June 9). SAF sources cited an attack on a police station in Kadugli on June 4 and a nearly simultaneous attack by SPLA forces against SAF troops in Um Dorain, 35 km southeast of Kadugli (Independent, June 17). The Khartoum government presented the events in Kadugli as a SPLM/A attempt to overthrow the regional government in South Kordofan. According to President Omar al-Bashir: “The armed forces have aborted the plot of the Sudan People’s Liberation Movement (SPLM) which was aiming to occupy Kadugli… and inaugurate Abdul-Aziz Al-Hilu as ruler for Sudan… What happened in South Kordofan was a betrayal operation by the SPLM. Unfortunately, there was killing, destruction and displacement. The development in South Kordofan, which has been witnessing the biggest development process in Sudan, was crippled” (Xinhua, June 22). Presidential advisor Dr. Nafi Ali Nafi called the fighting in South Kordofan proof of a specific SPLM/A agenda in the region that involved taking control of South Kordofan either through elections or force as the first step in joining with other unnamed parties in seizing Khartoum (Sudan Vision, June 15). Dr. Nafi also said the NCP had given the SAF “a free hand” to eliminate disturbances in South Kordofan (SUNA, June 8). President Omar al-Bashir accused the SPLA in South Kordofan of “treachery,” adding: “We hope that now they understand… anyone who looks our way, we will stab his eyes” (Sudan Tribune, June 20). Despite the looming independence of South Sudan, a form of the SPLM known as SPLM-Northern Sector (SPLM-NS) remains active in the North. The chairman of the SPLM-NS is Malik Agar, a former SPLA commander in the Blue Nile Region in the 1990s who was later elected governor of Blue Nile State in 2010. Agar became chairman of the SPLM-NS in February 2011. Despite its associations with the Southern secessionist movement, the SPLM has now become one of the largest political parties in North Sudan. However, like the SPLA fighters in Kordofan, the SPLM-NS has an uncertain future after South Sudan takes independence. An NCP spokesman has already announced that the movement would not be allowed to continue operating in its present form “because it is the party of another country” (AFP, June 18). Governor Haroun has promised “the severest punishment” will be dealt out to al-Hilu when he is seized by SAF forces who are looking for him in the mountains south and east of Kadugli. Haroun blamed “left-wing elements” under SPLM-NS Secretary General Yasir Arman for inciting resistance to the state against the wishes of many SPLA fighters in South Kordofan who desired a peaceful resolution of existing problems (Sudan Vision, June 11). Local residents and aid workers have reported house-to-house searches for SPLA troops and supporters conducted by Popular Defense Force (PDF) militias. Extrajudicial killings by government militias and a series of assassinations of local NCP leaders by the SPLA have also been reported (AFP, June 12). NCP cabinet minister Haj Majid Swar claimed government security forces had discovered documents in al-Hilu’s home outlining a campaign to target senior NCP figures in Kadugli and nearby Dilling before liquidating SAF forces in the area and seizing Kadugli (Sudan Vision, June 15; Sudanese Media Center, June 20). Colonel Osama Muhammad of the SAF’s 14th Division elaborated on these claims on June 18, saying seized documents showed a SPLA plot to assassinate military and political figures in South Kordofan, including Governor Ahmad Haroun. According to the Colonel, the plot was supported by the willing participation of the UN and a number of local and foreign NGOs (Sudan Tribune, June 18). Much of the fighting has consisted of ancient SAF Antonov bombers, Mig fighter jets and ground-based artillery shelling SPLA positions in the hills surrounding Kadugli. The Antonovs are Soviet-made transports last made in 1979 that have been converted to use as bombers in the Sudanese Air Force. Due to their improvised nature and the poor quality of their munitions (primitive “barrel-bombs” were often used in Darfur), the Antonovs must fly relatively low to have any degree of accuracy in bombing runs. On June 12, a SPLM-NS spokesman claimed the group’s fighters had downed two government warplanes on June 10, including an Antonov bomber and a MiG fighter. An SAF spokesman responded by describing the claim as “completely wrong” (AFP, June 12). As part of its mandate, the Disarmament, Demobilisation and Reintegration (DDR) section of the UN Mission in Sudan (UNMIS) has disarmed thousands of pro-government and pro-SPLA fighters since 2009 (Miraya FM, December 28, 2009). UNMIS has complained that the closing of the Kadugli Airport and restrictions on South Kordofan airspace imposed by the SAF have made it difficult to distribute much-needed humanitarian aid. On June 17, SAF aircraft dropped several bombs close to the UN compound at Kadugli. At one point, four UNMIS soldiers were detained and abused by SAF troops in Kadugli (Sudan Tribune, June 29). Egyptian peacekeepers with UNMIS in South Kordofan have also been accused of collaboration with the Khartoum regime as well as criminal activities by Abd al-Aziz al-Hilu (Sudan Tribune, June 9). By mid-June, reinforcements led by 120 Bangladeshi troops were on their way to join AMISOM forces in Kadugli, whose base had become the focus of fighting in the town as it tried to shelter displaced locals (AFP, June 17). The African Union has created the African Union High-Level Implementation Panel (AUHIP) to mediate between North and South Sudan on issues such as the status of South Kordofan and Abyei. Former South African president Thabo Mbeki chairs AUHIP after having previously chaired the African Union Panel on Darfur (AUPD). Just as Mbeki came under criticism from Darfur rebel groups for siding with Khartoum, the former president has now come under fire in some quarters for similarly siding with Khartoum in the South Kordofan crisis. A letter to Mbeki from leading SPLM figure Edward Lino told the AUHIP chair: “All your plans are pro-Khartoum… Khartoum has long decided to ‘use you’ properly and you accepted willingly, letting our people in Abyei and the Nuba Mountains be exterminated!” (Sudan Tribune, June 19). However, by June 30, Mbeki had managed to broker a deal calling for the SPLA fighters in South Kordofan to be either disarmed or integrated into the Northern army, with a provision that disarmament was not to be carried out by force. The effectiveness of these measures remains uncertain, as it would appear initially that neither of these options would be palatable to the Nuba SPLA forces. The election of Ahmad Haroun as Governor of South Kordofan appears to have attracted the interest of Darfur’s rebel groups, who believe they have a score to settle with the former Janjaweed commander. In an interview from Kampala, Abu al-Gamim Imam al-Haj, a prominent member of the largely Fur Sudan Liberation Movement – Abdul Wahid (SLM-AW), announced that his movement would work with Abdul Aziz al-Hilu and the Kordofan branch of the SPLA to use any means available to bring down the Khartoum regime, including strikes, civil disobedience and military operations (Radio Dabanga, June 17). Darfur’s Justice and Equality Movement (JEM), with a largely Zaghawa leadership, claimed to have used its long-range desert raiding skills to mount a June 9 attack and brief occupation of the Heglig airport in Western Kordofan, center of the North Sudan’s most productive oil field. JEM Field Commander Elnazir Osman said the raiding force had fired a number of RPGs at oil field installations, forcing a temporary shutdown (Radio Dabanja, June 11). A JEM statement said that the attack by “JEM Kordofan” was “meant to send a clear message to oil companies that use of their airports and other facilities by the Government of Sudan [and] its army and militia will not go unpunished…” (Sudan Tribune, June 14). The speaker of the JEM Legislative Assembly, Dr. Tahir al-Faki, has called for the imposition of a no-fly zone in the Nuba Mountains to protect civilian lives. He described the fighting in South Kordofan and the “appointment” of Ahmad Haroun as the beginning of a process of ethnic cleansing similar to that experienced in Darfur: “Having orchestrated the Darfur genocide, Haroun is the right choice for the Government of Sudan to complete the unfinished job to ethnically cleanse the Nuba People and bring in Arabs to occupy their lands” (Sudan Tribune, June 21). Khartoum has repeatedly claimed that JEM guerrillas are fighting on behalf of Mu’ammar Qaddafi in Libya, though these claims have not been confirmed (see Sudan Tribune, June 21, May 31). Khartoum has little choice but to allow the South to leave; the overwhelming vote for independence (98.83 %) has left no room for dispute. However, the regime appears to have decided to draw the line there. There will be no more “disputed territories” or regions “whose future will be decided by popular consultations.” In South Kordofan and Abyei, the North will want to consolidate control over the few productive oil fields left within its grasp. Khartoum’s attempt to consolidate its position in South Kordofan and eliminate potential sources of opposition there have been coupled with reinvigorated attempts to strike a deal with the Darfur rebels before South Sudan becomes independent on July 9. Khartoum’s policy has always been to prevent Sudan’s multiple centers of discontent from acting in concert to depose the Nile-based Arab regime in the capital. The government faces potential opposition from the Beja tribes of east Sudan (who have already conducted a low-intensity rebellion against the regime), growing discontent in Nubia over a series of dam-building projects and possible armed opposition in the Blue Nile region. There is also sure to be dissatisfaction within the NCP’s traditional power-base over the government’s failure to prevent the oil-rich South from seceding. Under these conditions and with so many unresolved issues still outstanding between Khartoum and the SPLM, including the still unresolved fate of the Nuba SPLA, it seems unlikely that the ceasefire in South Kordofan will hold for long, adding yet another element of instability to Africa’s largest and possibly most diverse country. 1. 40,000 SPLA troops in South Kordofan, 6000 of which belonged to the Joint Integrated Units, a largely failed attempt under the CPA to integrate SAF and SPLA forces to regulate disputed border territories. 2. A.J.P., “The Hillmen of the Soudan,” Blackwood’s Magazine 1308, October 1924, p.560. This article first appeared in the July 1, 2011 issue of the Jamestown Foundation’s Terrorism Monitor. A continuing wave of extremist violence sweeping northern Nigeria arrived in the Nigerian capital of Abuja on June 16, when a massive car bomb was only narrowly prevented from destroying the national police headquarters and most of the service’s senior leadership. The attack was the most shocking of an almost daily series of bombings, random murders and targeted assassinations being carried out by the largely Borno State-based Boko Haram movement. The incident occurred when a Honda Civic began to follow closely behind a police convoy bringing the Inspector General of Police, Hafiz Abubakr Ringim, and a number of other important police officials to the Abjuja police headquarters. Thinking the vehicle was part of the convoy, guards allowed the Honda Civic into the compound. The two occupants of the car were allegedly carrying fake police identity cards. A quick-thinking traffic officer inside the compound diverted the car into a secondary lot, preventing it from exploding beside the building and likely preventing an enormous loss of life. As it was, the blast killed the attackers, the traffic policeman, three other men and destroyed some 40 cars immediately, with over 50 more incurring severe damage. The powerful blast broke windows and upended equipment throughout the seven-story police headquarters (Vanguard [Lagos], June 19). 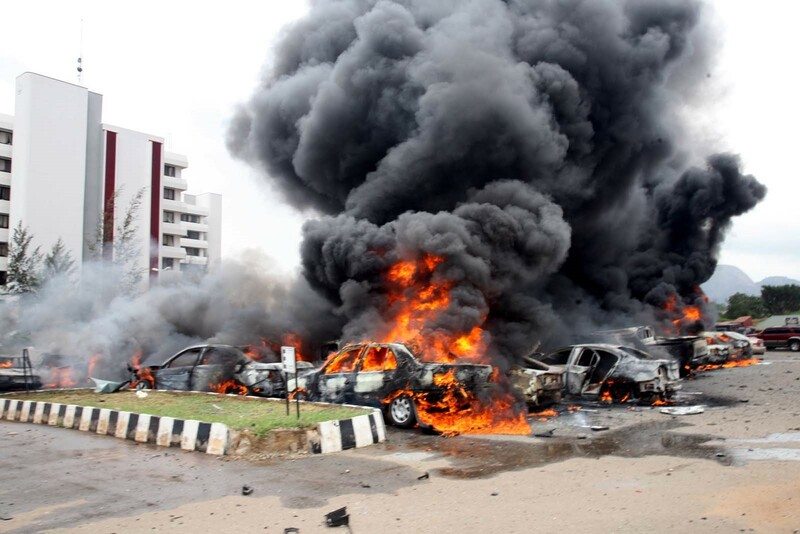 Examination of CCTV footage suggested that the car bomb may have been detonated by a timer or by remote control rather than being a suicide bombing (This Day [Lagos], June 20). U.S. experts were called in to examine and identify the type of explosive used. A team of Abuja-based detectives raided a Boko Haram headquarters in the Borno capital of Maiduguri on June 20, arresting 58 suspects who were alleged to be celebrating the attack on the police headquarters. Among those arrested were a number of Somalis, Sudanese and Nigeriens. Some of the suspects claimed to have been coerced into Boko Haram membership (Nigerian Tribune, June 20). Though the attackers failed to kill the police Inspector General, Ringim faced new problems after the bombing as many began to call for his resignation given his failure in preventing Boko Haram strikes (Nigerian Tribune, June 19). Nigerian president Goodluck Jonathan is under pressure from some quarters to implement sweeping changes in the police leadership. The report of foreign nationals being arrested in Maiduguri fueled growing suspicions in some quarters that the Abuja bombing was made possible by the infiltration of foreign militants and organizations such as al-Qaeda. Sudan, Somalia and Iran have all been mentioned as possible sources of funding for Boko Haram, though no evidence of such funding has emerged as yet (Business Day [Lagos], June 20). Security services have been asked to monitor Sudanese and Somali nationals throughout Nigeria (Vanguard, June 20). Others suspect local politicians are sponsoring the militants as a means of disrupting security after losing in the April elections (This Day, June 20). Boko Haram extremism is even becoming a danger to Wahhabist clerics, such as Ibrahim Birkuti, who was killed by motorcycle-riding gunmen outside his home in Biu (200 km south of Maiduguri) on June 7. Imam Birkuti had been critical of Boko Haram’s violence (BBC, June 7). A sect spokesman recently said the group was also responsible for last month’s murder of the brother of the Shehu (ruler) of Borno, Alhaji Abubakar Ibn Garbai, one of Nigeria’s most important Islamic leaders. Boko Haram has accused the Shehu of playing a role in the extrajudicial killing of sect members following the July 2009 Boko Haram uprising. The Shehu has denied any role in the killings (BBC, June 7; Vanguard, June 17). • Unconditional release of all imprisoned members of Boko Haram. • The immediate prosecution of all those involved in the killing of Boko Haram leader Malam Muhammad Yusuf after he was taken into police custody in July 2009. • An investigation into the alleged poisoning of Boko Haram suspects awaiting trial. • Implementation of Shari’a in the twelve northern states of Nigeria. These states adopted Shari’a codes in 1999, but their current application is not strict enough to meet Boko Haram’s standards (Next, June 14). More attacks followed the demands. Assailants on motorcycles sprayed a relaxation center in the Gomari district of Maiduguri with gunfire on June 19, killing five people (Next, June 20). On June 20, simultaneous attacks on a bank and a police station in Katsina by gunmen on motorcycles resulted in the deaths of five policemen and one private security guard. Boko Haram was a leading suspect in the attack, though their participation could not be confirmed (Daily Sun [Lagos], June 23). Unexploded bombs have also been found at a number of locations in the north (The Nation, June 14). Boko Haram has clearly expanded its list of targets to now include Christians, traders from southern Nigeria, politicians, security officials, traditional leaders and Islamic clerics who dare to criticize the movement (This Day, June 17). Nigerian president Goodluck Jonathan has described a “carrot and stick approach” as the government’s policy in dealing with Boko Haram militants, saying he was open to dialogue with the group. Others have called for a general amnesty, as was applied to militants operating in the Niger River Delta (Next, June 19; Vanguard, June 20). Meanwhile, the government has begun to deploy a new Special Joint Military Task Force in Maiduguri. The task force will draw on security personnel from the military, police and state security services (Vanguard, June 19). This article first appeared in the June 23, 2011 issue of the Jamestown Foundation’s Terrorism Monitor. Once a main pillar of support for the regime of Yemeni president Ali Abdullah Saleh, much of Yemen’s Hamid tribal confederation has now come out in open confrontation to Saleh’s teetering government. Complicating the new political alignment is the fact that President Saleh and his clan belong to “the people of al-Ahmar,” the most powerful family in the Hashid confederation. The leader of the Hashid, Shaykh Sadiq al-Ahmar, recently told a pan-Arab daily of the reasons for the Hashid’s political turnabout and described a path out of the current turmoil, while advising President Saleh not to return from his current hospitalization in Saudi Arabia. Shaykh Sadiq is the oldest of ten sons of the late Shaykh Abdullah bin Hussein al-Ahmar (d. 2008), the former Hamid chief, Speaker of Parliament and a consistent supporter of the Saleh regime. In February, Shaykh Sadiq resigned from the ruling General People’s Congress. By March 20, Sadiq was calling for the president to resign from office peacefully (al-Jazeera, March 20). Nevertheless, Shaykh Sadiq asserts that the anti-regime protests are “a popular youth revolution and [an expression of] divine will.” He praised the discipline of the young people and tribesmen (who have ample access to weapons) in confronting the regime’s violent acts of repression “with bare chests.” However, Shaykh Sadiq has not hesitated to support the “peaceful revolution” with armed force when required. On May 24, intense fighting broke out in the al-Hasbah neighborhood of Sana’a between the shaykh’s tribal supporters and elements of the loyalist Republican Guard. The government responded to the clashes by issuing arrest warrants for all ten al-Ahmar brothers on charges of treason (al-Jazeera, May 26). According to Shaykh Sadiq, the Hashid confederation abandoned its support of the president and his ambitious son, Ahmad Ali Saleh (commander of the Republican Guard) after it became apparent the regime was prepared to spill the blood of peaceful demonstrators to ensure the succession of the latter. This ended the sharat Mu’awiyah (Covenant of Mu’awiyah) between the Hashid leadership and the regime, which was intended to guarantee that the President’s son would not succeed him, much as the original covenant called for Mu’awiyah (602-680), the first Caliph of the Ummayad Dynasty, to refrain from appointing his son Yazid as his successor (a pledge the Caliph broke). In a recent interview with a pan-Arab daily, Yemen’s Major General Ali Muhsin Saleh al-Ahmar claimed that President Ali Abdullah Saleh (now receiving medical treatment in Saudi Arabia after being seriously wounded in an assassination attempt) has manipulated the al-Qaeda insurgency in Yemen to win international support for his increasingly beleaguered regime (al-Hayat, June 11). News of Ali Muhsin’s defection to the Yemeni opposition on March 21 took many by surprise, not least President Ali Abdullah Saleh, the General’s half-brother. Before his defection to the opposition, General Ali Muhsin was commander of the Northwestern Military Region and commander of the First Armored Division. Widely viewed as one of the most important figures in Yemen’s military and known for his contacts with the Islamist Islah (Reform) Party and the Muslim Brotherhood, the defection of this consummate regime insider was viewed with both hope and suspicion by various opposition members. The fact is that the al-Qaeda organization served the objectives and aims of Ali Saleh… al-Qaeda took advantage of the state’s weakness and its reluctance to act against them and curb their activities since Ali Saleh wanted to use al-Qaeda as a scarecrow for the outside parties. 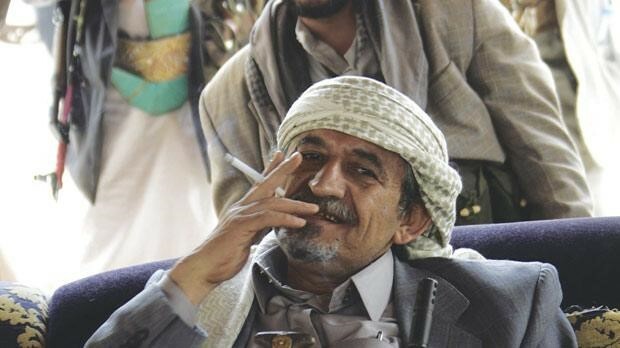 Everybody will realize after Salah’s departure that the legend of al-Qaeda in Yemen was exaggerated. When Yemen moves to a modern civil state – when the law prevails and justice and equal citizenship are ensured, when the judiciary becomes clean and the national economy becomes firm, developed and successful – al-Qaeda will have no presence in Yemen… The terrorist groups he uses to scare Yemen and the outside world with are supervised by the sons of his brother and the commander of his personal guards, Tariq Muhammad Saleh, and the Deputy of the National Security Apparatus, Ammar Muhammad Saleh. The general went on to claim al-Qaeda elements were allowed to enter the southern town of Zanjibar without resistance on May 27 to seize weapons belonging to the police and army garrison. Nine dissident generals, including Ali Muhsin, released “Statement Number One,” in which the generals accused the President of “surrendering Abyan [Governorate] to an armed terrorist group” and called on the rest of the army to join “the peaceful popular revolution” (iloubnan.info – May 29, 2011; AFP, May 29).
. Ali Muhsin has survived a number of assassination attempts and some local observers have suggested a struggle for the succession has been ongoing for some time between the general and the president and his son Ahmad Ali, head of the Republican Guard (Yemen Tribune, October 9, 2009). According to a Wikileaks cable from the U.S. embassy in Sana’a, President Saleh tried to have the general killed by asking Saudi Arabia to bomb a compound in northern Yemen that was actually being used by the general as a field headquarters. The Saudis sensed something was wrong with the request and failed to carry out the raid (al-Jazeera, June 5). Ali Muhsin has deployed his forces to defend the compound of Vice-President Abd-Rabbu Mansur Hadi, a southerner from Abyan province who was appointed in 1994 as a symbol of north-south unity. There were reports last week that elements of the 1st Armored Division repelled two attacks against the vice-president’s house by tribesmen on June 6 (al-Sahwah [Sana’a], June 7). The vice-president is nominally in charge with President Saleh out of the country, but it is Saleh’s son Ahmad Ali who has moved into the presidential palace and is viewed to have control of the government. Troops under Ali Muhsin’s command are also reported to be preparing defensive positions in Sana’a in preparation for an expected confrontation with forces still loyal to the Saleh regime (Naba News, June 7). While his troops prepare for action, Ali Muhsin was reported to have met with the U.S. and EU ambassadors in Sana’a (Ilaf.com, June 9). To deal with a number of new and longstanding security threats, Algeria is seeking the purchase of an unspecified number of new Russian-made Mi-28NE “Night Hunter” attack helicopters. The Mi-28NE is the export version of the Mi-28N, an all-weather, day and night operable two-seat attack helicopter roughly comparable to the American-made AH-64 “Apache” attack helicopter. Besides a continuing insurgency led by al-Qaeda in the Islamic Maghreb (AQIM) in Algeria’s northeastern Kabylia mountain range, Algeria is making major efforts to secure its vast desert interior, where trans-national smugglers and AQIM gangs have made huge profits by taking advantage of the relative lack of security in the region. As well as continuing tensions with its western neighbor Morocco over the status of the Western Sahara and the presence of anti-Moroccan Polisario guerrillas in camps in southern Algeria, Algiers must now also contend with a possible spillover of the Libyan conflict into the Sahara/Sahel region. According to a director of Russia’s Rostvertol, a state-owned manufacturer of attack helicopters, a commercial proposal has been delivered to Algeria and the company hopes a contract will soon be signed to allow delivery of the new helicopters in the period 2012-2017 (Interfax/AVN, June 6; RIA Novosti, June 6). Algeria currently operates 36 export versions of the Mi-24 attack helicopter, an older and now largely outdated variant. The helicopters are routinely used for fire support in combined ground-air operations by Algeria’s Armée Nationale Populaire (ANP) and the Gendarmerie Nationale against AQIM guerrillas (see Terrorism Monitor, April 23, 2010). The Mi-28N is primarily designed to hunt and destroy armored vehicles, but is suitable for a range of other activities, ranging from reconnaissance to engaging ground troops or even low-speed air targets. The helicopter purchase is part of a trend in Algerian arms purchases that began in May 2010, when Algiers announced it would make drastic cuts in its arms purchases from the United States in favor of buying similar equipment from Russia. Algiers cited long delays in delivery times, pressure on U.S. arms sales to Arab nations from Israel and dramatic differences in the cost of similar arms systems between the two suppliers (El Khabar [Algiers], May 24, 2010; RIA Novosti, May 24, 2010). So far, Venezuela, which is still awaiting delivery, is the only other foreign buyer of the Mi28-NE, though India has indicated interest in a possible purchase. Turkey had intended to buy 32 used Mi-28 helicopters from Russia in 2008-2009 as a stop-gap measure until deliveries of 52 Agusta Westland A-129 Mangusta (“Mongoose”) attack helicopters could begin (Vatan, December 22, 2008; RIA Novosti, December 22, 2008). The proposed purchase of Russian helicopters came after Washington refused to permit the sale of used American attack helicopters from U.S. Marine inventories after disputes over technology transfers prevented U.S. companies from bidding on the main Turkish order that was eventually filled by Italy’s Agusta-Westland. In time, Washington reversed itself, allowing the sale of AH-1W Super Cobra helicopters from the U.S. Marines to Turkey in late 2009, leading Ankara to cancel further talks with Russia regarding the Mi-28 purchase (Sunday Zaman, October 25, 2009). Work on the Mi-28 began in the 1980s, but was reduced to a low priority after the Soviet Air Force chose to go with the Kamov Ka-50 “Black Shark” as its new attack helicopter. Work resumed in earnest in the mid-1990s with the debut of the Mi-28N night-capable helicopter, though development was again delayed until 2003-2004, when the Russian Air Force announced the Mi-28N would be Russia’s standard attack helicopter of the future. Though it is a dedicated attack helicopter without a secondary transport role, the Mi-28N has a small cabin capable of carrying three additional individuals. In Russia this is used mainly for rescuing downed helicopter crews, but it is possible Algeria could use this capability to deploy small numbers of Special Forces operatives. 16 Ataka-V anti-tank guided missiles in combination with either ten unguided S-13 rockets or 40 S-8 rockets (shorter range but greater numbers). The Ataka is available in high-explosive or thermobaric variants for different missions. Eight Igla-V or Vympel R-73 air-to-air missiles with infrared homing warheads. A 30mm Shipunov turret-mounted cannon equipped with 250 rounds. The aircraft’s normal range is 270 miles with a cruising speed of 168 m.p.h. and a maximum speed of 199 m.p.h. Optional fuel tanks can be mounted under the stub wings, allowing for extra range in the open spaces of the Algerian interior. The helicopter is also equipped with passive protection systems to aid the survival of downed helicopter crews. Al-Helbawi, who holds British citizenship, has studied in Pakistan, worked in Nigeria and Saudi Arabia, and has pursued business activities while leading or playing a major role in a number of British-based institutions such as Center for the Study of Terrorism and the Global Civilizations Study Center. He has also been a prominent member of a number of British or international Muslim organizations while acting until recently as the Muslim Brotherhood’s spokesman in the West.